Last week, there was a slight hiccup and malfunction issue with his crystal ball. Apparently, frozen (crystal) balls can lead to some very misleading signals. 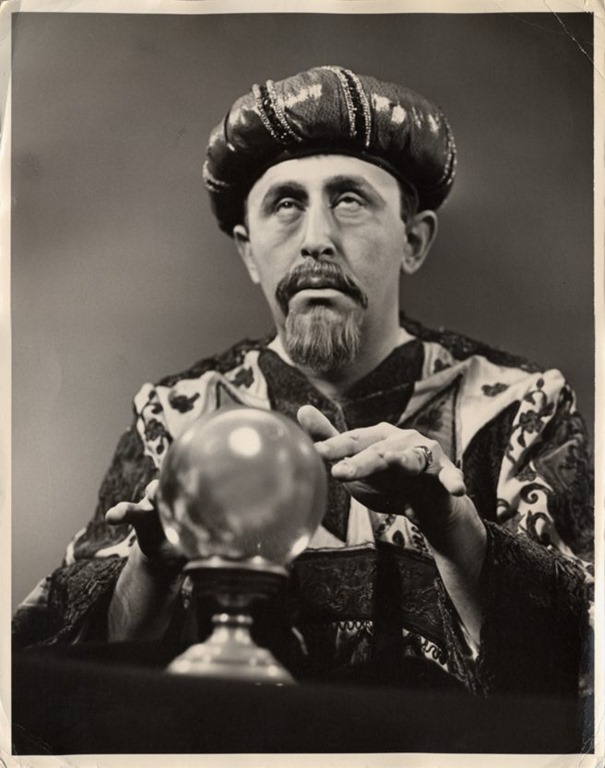 For safekeeping, he had put his powerful (and awe inspiring) crystal ball in his freezer to prevent his family cat (Katnip Kiffin) from playing with it in the middle of the night. Needless to say, he caused league-wide issues with frozen tundra last weekend! We feel it’s important to inform you that The GREAT Robbini feels personally responsible for the Chilled Cowboys embarrassing loss to the Chicago Bears. This week, The GREAT Robbini has appropriately thawed his balls and envisions a complete contrast in Dallas Cowboys production leading into the matchup with those traveling Packers from Green Bay. Not even I could see last weeks beating coming. Did you? I didn’t think so. This game should go SLIGHTLY different. we ‘ll still see the 4 Cowboy touchdowns, and a field goal for good measure. This time its enough for a win. Without Sean Lee, the ‘Boys give up points, but the (pissed off) Rodger-less Pack can’t supply an upset. The Cowboys continue an impressive streak at home vs. Green bay. Remember, you read it here! The Great Robbini predictions for game #14. Feel free to leave your final score or predictions in the comment section. 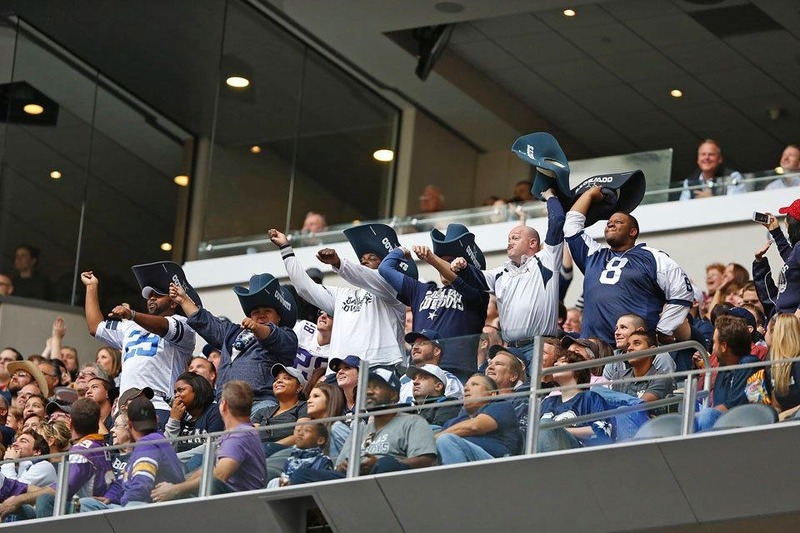 ARLINGTON, Texas – The roof was closed, but Tony Romo was still under the weather in Thursday’s win. Romo still managed to put together an efficient day despite battling a virus and getting an IV before the game, going 23-of-32 for 225 yards and a touchdown without throwing a pick. 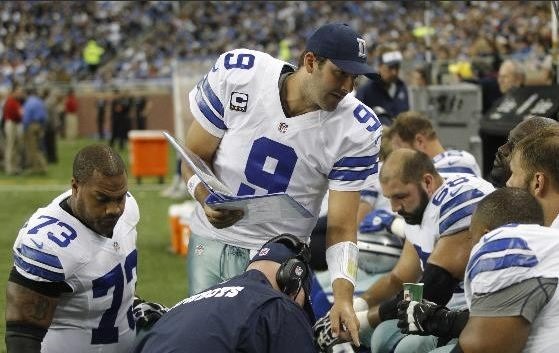 The virus began Wednesday night and Romo woke up feeling sick on the morning of the game. Head coach Jason Garrett said Romo had thrown up and didn’t look great physically before the Thanksgiving Day matchup began. After a slow start, throwing for 55 yards without a touchdown in the first quarter and throwing for no yards in the second quarter until the two-minute mark, Romo got it going late in the first half. The Cowboys orchestrated an eight-play, 73-yard touchdown drive in 1:46. Then Romo carried that to the second half, when he was a perfect 12-for-12. It’s the third time in his career that he’s completed all of his second-half passes and the first since December 2012 against the Eagles. 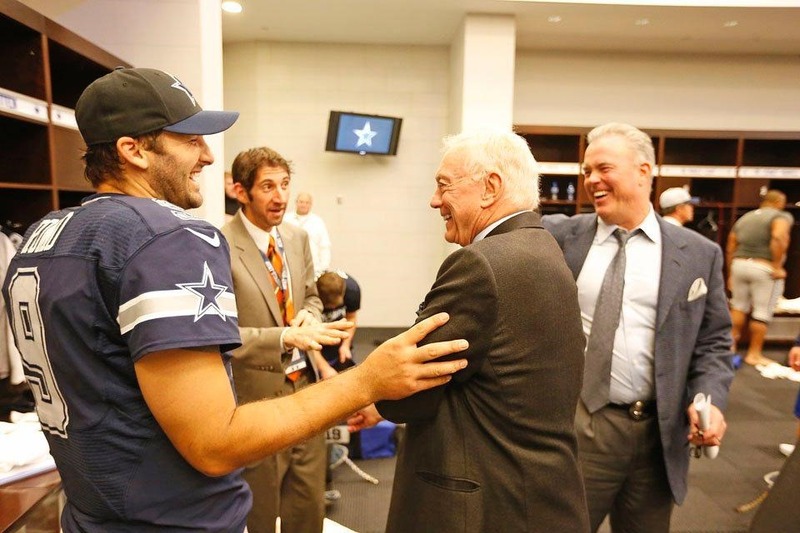 Romo downplayed the significance of the virus come game time. He said he took “a bunch of stuff” from the doctors but that it was no big deal. He said with a smile that he’d try to go eat something after the Thanksgiving game. Regular readers know that The Boys Are Back website features the ALMOST WORLD FAMOUS predictions from The GREAT Robbini. Last week, our “exalted one” predicted a big NFC East win … and was correct! This week, The GREAT Robbini expects our weary 53 to outpace the traveling Raiders from Oakland. Personally, I think that mental state will show it’s ugly head until it becomes clear who will walk away with this win. It should come down to the team that was best prepared in the short week and the team that had something positive to build on from the previous game. Dallas won, thereby solidifying the bye week changes. Oakland hosted and lost to a gritty Tennessee Titans team. The Raiders are coming into AT&T Stadium mentally demoralized. Well, here’s something to be thankful for. Its only been 4 days since watching the ‘Boys take out the trash, and take back the division. Here we are again, so soon. Well, its not going to be quite as impressive looking on either side of the ball with such a quick turnaround. At times I think the players will appear as dizzy and sluggish as most of you sat on the couch, pants unbuttoned … moaning, groaning … picking food out of your mustache. It ain’t gonna be pretty. Thankful as we are for more football, and another heavy dose of Dallas Cowboys, these teams are just waiting to get this one done and into the history books. Expect plenty of missed tackles, dropped balls, and a false start or two. These men are tired. Ready to head home, hug those loved ones and maybe get some of those cold turkey leftovers. That being said, expect a much more raucous home crowd than last year, and an ultimately more jubilant Cowboys team here, thanks to a confidence boosting performance in New Jersey. That and the knowledge of a ten day break headed their way. Yes, The Cowboys are giving us yet another thing to be thankful for. A turkey day win in AT&T Stadium. Remember, you read it here! The Great Robbini predictions for game #12. Feel free to leave your final score or predictions in the comment section. Talk doesn’t necessarily equate to action, but the New York Giants sure are talking a big game ahead of their key matchup against the Dallas Cowboys on Sunday. Defensive end Jason Pierre-Paul said the game is “like a Super Bowl to us,” which actually kind of makes sense. At 4-6, the Giants are working with a razor-thin margin of error. It’s not win-or-go-home, though it might as well be. Yesterday, Giants safety Will Hill turned his attention to Dallas Cowboys wide receiver Dez Bryant. Hill offered up the defense’s strategy on how to unsettle the All-Pro. Consider Bryant a sleeping giant right now. The Dallas Cowboys targeting their best player a grand total of two times, in what should have been a shootout with the New Orleans Saints. You can safely assume coach Jason Garrett and offensive coordinator Bill Callahan have drawn up a game plan this week that calls for Tony Romo to look Bryant’s way early and often. We’ll see if the Giants’ handsy game plan has any effect. When you have a defense that has struggled like this Cowboys one has for games, it is hard to really find some bright spots in their play. You can say that Orlando Scandrick and Jason Hatcher are two players that come to mind but Sean Lee would be right there with them. Lee’s season didn’t start off as well as it needed to but after the Kansas City game, he has been consistent in the way he has played, even though there have been others around him that have not done the same. Lee leads the club in tackles, tackles for loss and interceptions which is no surprise. What makes Lee so special, is his nose for the ball. There are very few players in this league that play with the smarts and the defensive awareness that he is able to show down after down. There were times when Sean Lee was the best defensive player on this team and that’s saying something when you also have DeMarcus Ware. When Jerry Jones and Jason Garrett made the decision to switch from the 3-4 scheme to 4-3, and knowing Bruce Carter’s game from his days at North Carolina and observations with the Dallas Cowboys, this switch should have been a perfect fit for him. Carter hasn’t been as good as Lee in the way he has played, there is something just not right with what we have seen from him. Despite being 3rd on the squad in tackles, he hasn’t had those dominate performances running to the ball playing on the weak side in this defense. Now with Sean Lee out for at least two games, there will be pressure on Carter to make more plays, which he was able to do last season once Lee went down in the Carolina game. Remember what Sean Lee said about Bruce Carter when he said “There are things that Bruce can do athletically, that I only dream about.” Now is the time for Bruce Carter to step up and do those things that Sean Lee believes he can do. If this group is lucky, Sean Lee will only miss the Giants and Raiders contest before returning against the Bears. It appears that DeVonte Holloman is back in the mix and will work to get ready to face the Giants most likely on that strong side in place of Justin Durant, who also injured his hamstring against the Saints. Kyle Wilber who has played linebacker and defensive end during his career with the Cowboys. He will now go back to linebacker to add depth to the position along with Kyle Bosworth and Cameron Lawrence. Without Lee in the lineup, it appears that Holloman, Sims and Carter would be the starters, unless something changes with the health of Holloman, then more adjustments would have to be made. What this group has to do, is do a better job of getting off blocks in the running game which was a huge issue against the Saints last Sunday. Since the Eagles game, these players have not been at their best when it has come to stopping the run and that has to change quickly despite their best player on the sideline for the next two weeks. Dallas Cowboys defensive end DeMarcus Ware said a team like the Saints will take advantage of a defense that doesn’t have its most experienced players, like the Cowboys on Sunday night. Ware said the scheme is fine. Ware said it was a helpless feeling for him when he wasn’t in the game. He aggravated his quadriceps injury on a sack in the second quarter and was in and out of the game. He said the leg is good, however. Ware said he’s optimistic about playing in the Giants game, and he looked back on the season as a whole as the Dallas Cowboys hit their bye week. There were plenty questions coming into the Dallas Cowboys 2013 season of how Barry Church would play coming off the Achilles injury that he suffered in Week 3 of 2012. At this point, Church and his injury appear to be holding up well. What we fail to realize about Church is despite coming into his fourth season in the league, he had only made three starts at safety and all of those came last season. From what we’ve seen from Church through 10 games in 2013, there has been some hit-and-miss play – something you’d expect from a player who doesn’t have a great deal of experience. Where Church has always been his best is as that physical player that is fearless when it comes to sticking his nose in there to make a tackle. But with this type of play comes those plays where he is too aggressive and finds himself in trouble when he takes a bad angle on his way to the ball like he did in the Lions game on the long pass to Calvin Johnson. For Church, each snap has been a learning experience for him in his progression as an NFL safety. There are days where he has looked rough but compared to what has happened this season with the other safeties, he has managed to hold things together. It’s hard to say that you need more from a player who, at times for a rookie, has played very well, but that is the case of J.J. Wilcox. It has been three games since Wilcox suffered a knee sprain during practice getting ready for the Lions game. In his absence, Jeff Heath has had to make those starts. Heath has had his share of struggles and the New Orleans game was by far his most disappointing showing, but this is not to say that Wilcox hasn’t had his share of missed tackles on third down as well. Both of these rookies are trying their best and that is really the main problem — they are still only rookies. The word is that Wilcox should return after the bye in preparation for the Giants and that will allow Heath to go back to work in his role as a core special teamer. Where this team needs more from Wilcox is in those plays like we saw from him in the Philadelphia game, where he showed range to knock the ball away from DeSean Jackson to save a touchdown, and being in position when the ball gets knocked in the air by Jason Avant for a potential interception. Wilcox has proven in his young career that he has a knack for the big play around the ball, which is something that defense desperately needs. The play of the cornerbacks would be the key for this defense going forward. Let’s believe that will be the case, but how these safeties play in the remaining games will also tell a story. As far as experience, it is a very young group with Barry Church, J.J. Wilcox, Jeff Heath, Danny McCray and Jakar Hamilton. For this club, Darren Woodson is not going to come walking through that door to save the day, so it will be up to this group to find the right combination and make plays when their number is called. What we have learned about the safety play in this Monte Kiffin scheme is that the safeties are huge in the overall success of the defense. Whether it is Church playing as the eighth man in the box or Wilcox showing range deep, this group has to make plays. There are games ahead where the ball will once again be going down the field. Can these young safeties handle that? There have been moments this season where they have been up to that challenge, but we’ve also seen some poor play as well, which has cost this defense far too often. This really goes all the way back to Oxnard, Calif. Orlando Scandrick has adapted to this scheme change more quickly than any of the other cornerbacks on the roster. Whether he has been playing on the outside or in the slot, Scandrick has given this defense some quality snaps. Throughout his career, he has always played with a chip on his shoulder and there have been times where that chip as weighed him down, but now you see a player who has been much more consistent in his overall play. You can say what you want in regard to Morris Claiborne and his problems with injuries, but even if he was healthy, Orlando Scandrick outplayed him and earned the right to start at corner in this defense. This has been an up-and-down season for the second year player out of LSU. There have been times where he has been awful and other times where he has lived up to the expectations the front office and coaches believed he had. The biggest issues that Claiborne has faced have not been how he has played, but his overall health and lack of time on the field — in both practice and games. For a young man, he has missed too much time with these injuries and it affects the way that he plays. When Claiborne struggles with his confidence as a player, he is no good to this defense. With that being said, this defense needs him. B.W. Webb is not ready to play and when Claiborne is on the field it at least allows Kiffin a decent option to match up against receivers by putting Scandrick in the slot. Morris Claiborne needs to find a way to stay on the field but more importantly, he needs to find ways to make more plays. It has not been easy for this group all season in having to deal with what seems to be an elite quarterback every week. In these last six games, there appears to be no relief in sight either, with dates against all three division opponents, Jay Cutler and Aaron Rodgers ahead. Where this group has struggled the most is when they have had to line up and play in zone. I am not saying that they haven’t had their struggles in man as well, but they look more comfortable and sure of what they are doing when they are playing man. Jerry Jones said that one of the bye week adjustments that he expected to see before the Giants game is this secondary playing more man coverage, which would help this group tremendously. If this defense is going to succeed down the stretch handling these quarterbacks, these cornerbacks are going to have to play a huge role. Playing more man coverage should help. IRVING — The guys at Pro Football Focus analyzed the tape. And in the end, Jeff Heath’s performance in the Dallas Cowboys blowout loss to New Orleans was as ugly as everybody thought it was after witnessing it. In Week 10, Heath turned in the second-worst game among NFL safeties, according to the website. As he reviewed the game he saw that he missed four tackles and allowed five of the six passes thrown his way to be completed for 104 yards and three touchdowns. In other words, Drew Brees produced a perfect passer rating while targeting Heath. “There were some things in that ballgame and other games that he obviously has to get better at,” head coach Jason Garrett said. “Some of those are the result of him not being in those situations before. Hopefully, he’ll learn from them. There have been some plays down the field where he hasn’t made them a few times in the last few weeks. He’s got to do a better job of that. Heath, though, may not get the chance to redeem himself as a starter. The Cowboys brought in several safeties for a workout, including Irving native Michael Huff. Enjoy this feature? 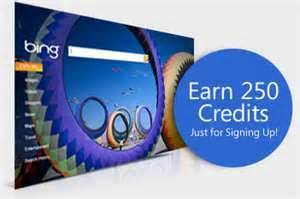 Please leave a COMMENT and use the SHARE buttons below! NEW ORLEANS – It was a given that Dallas Cowboys owner-general manager Jerry Jones would be reminded he fired the man who helped bring down his team last night on NBC’s nationally televised Sunday Night Football. The Saints vaunted offense lived up to its reputation in a 49-17 demolition of Dallas. But in an equally dominant performance, the New Orleans defense stymied the Cowboys’ offense into a mere 193 total yards and 17 points. As if he needed insult added to injury, Jones was asked how he felt about the decision to replace Saints defensive coordinator Rob Ryan, who coached for the Dallas Cowboys at this time last year. Ryan’s extensive makeover of the Saints’ defense has paid dividends for head coach Sean Payton, who hired him after New Orleans finished last in the league in defense last year. The Saints are currently ranked fifth and sixth, respectively, in total defense and scoring defense this season. The Dallas Cowboys’ defense, now under the management of defensive coordinator Monte Kiffin, was gashed for 625 total yards by Drew Brees and an aggressive Saints running game. It was the fourth time the Cowboys have surrendered 500 yards of offense and the second time they have surrendered 600 yards this year, further solidifying their No. 32 ranking in the NFL. Injury again played a role in that, as Jason Hatcher missed the game and Sean Lee was lost for the night in the second quarter with a hamstring injury. Jones acknowledged the extent of the team’s injury problems, but he said he didn’t want to make an excuse of it. The Saints allowed the Cowboys to run just 43 plays on the night, and they didn’t give up a third down conversion in nine different attempts. What success the Dallas Cowboys had on the ground, with 89 yards on 16 attempts, was offset by a complete inability to throw. Jones remained optimistic, however, despite being handed the most lopsided loss of the year. He said the Dallas Cowboys need to use the bye week to regroup and recuperate. 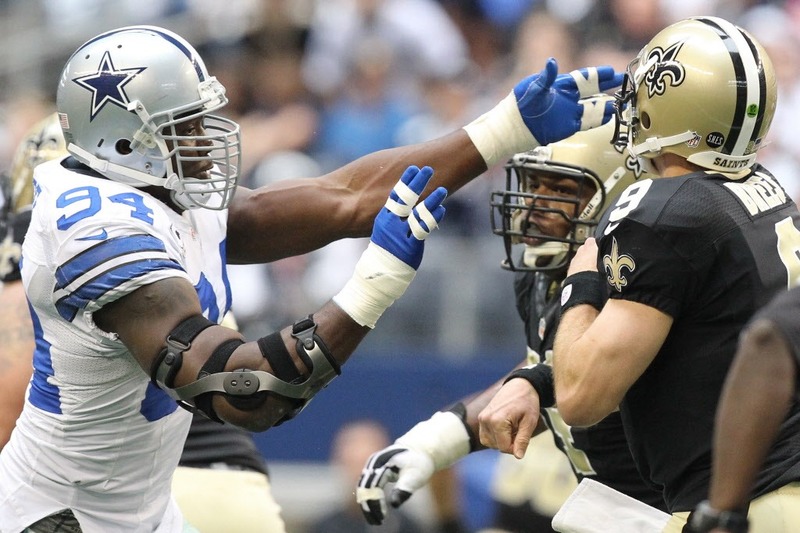 NEW ORLEANS – Initial thoughts following the 2013-2014 Dallas Cowboys’ 49-17 loss to the New Orleans Saints. Kavner: No one predicted the massacre that occurred Sunday in the Mercedes-Benz Superdome. The Dallas Cowboys established a strong running presence early on and took a quick 3-0 lead, but that’s about the only positive thing to say about a team that got smashed the rest of the way. Tony Romo only had three completions for 20 yards at the half, and the Saints offense continued to move the ball at will against the Cowboys defense, particularly after Sean Lee went out with an injury. I thought we’d see a back-and-forth shootout in New Orleans. It turned out this one was over early in the third quarter, when thoughts shifted more to the Cowboys’ immediate future without Lee than it did the game, which was already wrapped up. Helman: The popular saying around this team is that they play to their level of competition, but that was far from the case Sunday night. The offense, aside from one short drive in the third quarter, couldn’t find any rhythm or consistent production. It was nice to see the Cowboys commit to the run and find some early success, but was it worth it at the cost of such a poor passing performance? This team lives and dies with Tony Romo, as far as I’m concerned, and his inability to find even 100 passing yards when the game was still in the balance just wasn’t going to cut it. Once again we saw the defense fall well short of top-notch competition, as the Saints racked up both points and yardage. Obviously, injuries play a role in that, as Jason Hatcher was inactive and Sean Lee left the game early. But that doesn’t excuse the poor tackling or the dozen penalties. The Cowboys have dealt with their fair share of disappointment this season, but this is the first time in 10 weeks we’ve seen them get definitively outplayed. Eatman: I really thought we’d see an old-fashioned shootout. 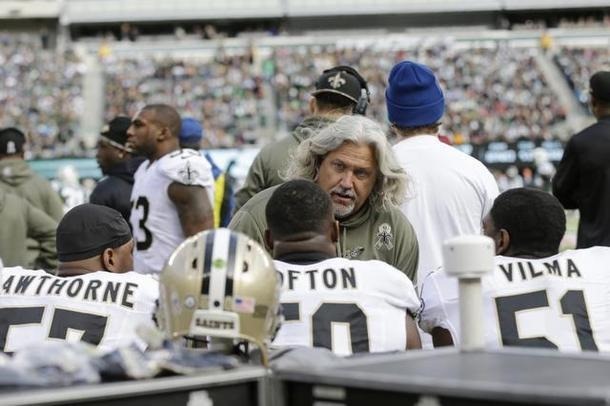 The Saints were certainly down for it, although Rob Ryan wasn’t having it. The Cowboys just weren’t good enough on any side of the ball to stay with the Saints. Cole Beasley wasn’t really a factor like I thought. Then again neither was Dez Bryant or Jason Witten or anyone Tony Romo was throwing to. To me, the game changed completely when Sean Lee went out with a hamstring injury. That’s when the Saints just ripped the Cowboys’ defense up to no end. Drew Brees did anything he wanted and was rarely challenged. Injuries for this team aren’t excuses anymore, it’s just reality. This team was average before these injuries and now it’s even worse. The bye week just couldn’t come at a better time. Editors note: This article relates to the pregame predictions made by the Dallas Cowboys writers on Saturday. NEW ORLEANS – The Saints went marching in … again and again and again. With injuries continuing to decimate the Cowboys defense and the offense unable to do much of anything, Dallas was simply dominated by New Orleans, losing 49-17 in front of a primetime national audience on Sunday Night Football. 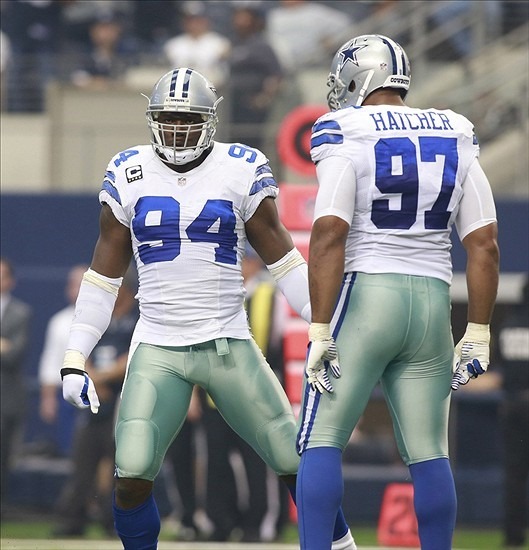 The Dallas Cowboys started this game with a slew of injuries already hampering the defensive unit, this time Jason Hatcher, who is having a Pro Bowl-caliber season, unable to go due to a stinger suffered last week against Minnesota. But things would only get worse for the unit, as the last person the team could afford to lose would leave the game. Early in the second quarter, Sean Lee, the quarterback of the defense, was sent to the locker room with a left hamstring injury and did not return, the severity not immediately known. Lee plans on getting an MRI on Monday to get a better idea of the severity of the injury. He was followed in the third quarter with fellow starting linebacker Justin Durant also being sidelined with a hamstring injury. And while DeMarcus Ware did come back, he was still hobbled by his right quad injury, obviously not 100 percent. At some points during the night, especially at the end when Ware was rested, only three of the eleven projected defensive starters going into training camp (safety Barry Church, cornerback Brandon Carr and linebacker Bruce Carter) were actually in the game for the Cowboys. So, the fact that Drew Brees and the Saints offense basically had their way with the Dallas defense probably shouldn’t have come as any surprise. The Saints finished with 625 yards of total offense, and set a new single-game NFL record with 40 first downs. Brees finished the night with 392 passing yards and four touchdown tosses, narrowly missing out on becoming the fifth quarterback this season to throw for 400 yards against the Cowboys defense. Nine different players caught passes for New Orleans, with Marques Colston leading the way with 107 yards off seven grabs. Unfortunately, the Saints didn’t just do their damage in the air, as they also rushed for 242 yards, Mark Ingram having a field day against the depleted Cowboys, running for 145 yards on 14 carries. With the injury issues affecting the Dallas defense, the Cowboys needed a big game from their offense. They didn’t get it. 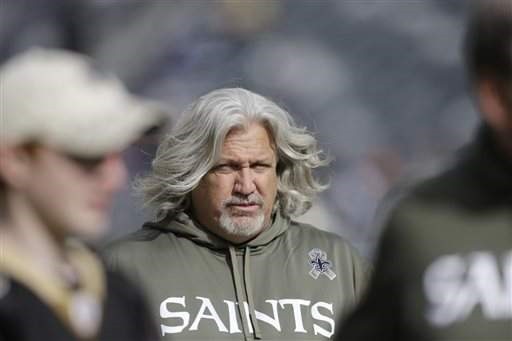 Facing Saints defensive coordinator Rob Ryan, who served in the same capacity for Dallas the previous two seasons, Tony Romo and Co. could do nothing, Ryan getting his revenge on his former team. The Dallas Cowboys quarterback finished with just 128 yards on 10-of-24 passing, the second time in the last three games that he has failed to complete at least 50 percent of his passes. Backup tight end James Hanna led all Dallas receivers with three catches while Dez Bryant hauled in only one. Also not helping was a plethora of penalties. 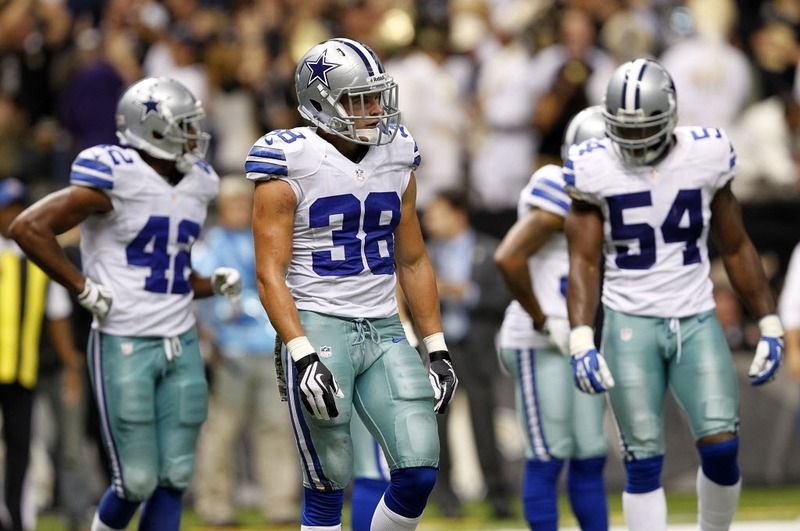 The Cowboys rushed for 89 yards, but had 11 penalties for a total of 82 yards. In all, Dallas only totaled 193 yards of offense in the game, running just 43 plays. Again, New Orleans had 40 first downs alone. The Cowboys had the opportunity to make an early statement when Dwayne Harris beat his man on the punt coverage and then recovered a muffed punt by Darren Sproles to set Dallas up at the New Orleans’ 22-yard line. But the offense could muster only three yards, hurting themselves again with a false start penalty. On came Dan Bailey for a 37-yard field goal, the surefooted kicker good on his attempt to stake the Cowboys to an early 3-0 lead. That didn’t last long, though. Starting at their own 20, the Saints marched right down the field, going 80 yards in nine plays with Breese hitting Colston from 22 yards out for the score and a 7-3 advantage. Dallas then faced a scary moment when on the ensuing kickoff, Harris broke loose down the left sideline for a nice 34-yard return to the Cowboys 28. But already out of bounds, Harris was then pushed by linebacker Kevin Reddick, falling headfirst into a Saints player who was standing on the sidelines. The play was clearly a late hit, but no flag was thrown. Harris, perhaps the best special teams player in the NFL, suffered a neck injury and went to the locker room, but did return to the game. Undaunted, the Cowboys did something they’ve failed to do with any regularity in recent games – run the ball. As the drive pushed into the second quarter, Dallas handed the ball off to Murray seven times during the possession, his biggest gain coming on a 35 run around the left end which set the offense up at the Saints 32. Murray then capped off the drive with another scamper around the left end from 7 yards out, diving into the end zone to give Dallas back the lead, 10-7. Again, though, New Orleans had an answer. And this time it came at an even bigger cost to the Cowboys. With the Saints starting at their own 20, Brees threw a short pass over the middle to running back Pierre Thomas. The linebacker Lee was in on the tackle, but in the process injured his hamstring, lost for the game. This is going to sound a lot like whining, but it’s really just an interesting observation. A couple of days removed from his injury on Monday Night Football, we’re now aware Green Bay quarterback Aaron Rodgers has a broken clavicle. The Packers’ signal-caller is slated to miss at least three or so weeks, but he is expected back before the end of the season. By a twist of fate, that simple fact is likely going to affect the NFC East championship race in a very direct manner. The NFC North drew the NFC East on the schedule this season, which pits the Packers against all four East squads. Rodgers and Co. have only played one team from the division to this point, however. The Packers crushed the Redskins, 38-20, in Week 2 of the season. But the other three matchups against the NFC East are slated for later in the season. And now it brings us to this point. The Packers’ next two games, with Rodgers sidelined, are a home date against Philadelphia this weekend and a road trip to play the Giants on Nov. 17. Obviously, anything can happen in any NFL matchup – that’s what makes this league so much fun. But you’ve got to admit the prospects of defeating Green Bay with Seneca Wallace running the offense look a lot brighter than if it was one-time NFL MVP and Super Bowl MVP Aaron Rodgers. The Packers round into view on the Dallas Cowboys’ schedule on Dec. 15, by which point it’s a good bet Rodgers will be coming back to full health, if not back on the field already. In the same vein, the Bears look likely to have Jay Cutler back for the home stretch – which includes the Cowboys – after Cutler said he planned to play this weekend against Detroit. Cutler went down with a groin injury early in the Bears’ game against the Redskins – a game they lost. But he will be back in the mix for games against the Eagles and Cowboys. It’s the NFL. So counting games ahead of the schedule is an exercise in futility. 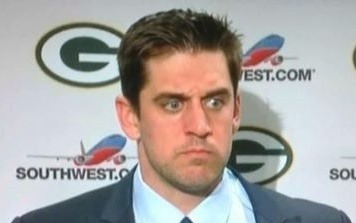 Green Bay is still probably a good enough team to beat Philadelphia and New York without Rodgers. And with four games on the schedule before the Packers come to town, it’s not worth fretting over matters outside the Cowboys’ next opponent. But it’s certainly not a twist that looks likely to benefit the Cowboys. ARLINGTON, Texas – Dallas Cowboys beatwriters share their initial feelings following the Dallas Cowboys 27-23 win over the Vikings. The coaches and the players on this team are never going to minimize their own success – regardless of record, they got a win against an NFL team. I don’t have the same obligation, however, so it’s fine for me to look into the future and say Dallas absolutely could not have afforded to lose this game. It might have been a season-sinker. With the NFC South leader, two tough NFC North teams and three divisional rivalries still to play, the Cowboys would have been up the creek with no paddle had they lost to this less-than-stellar Vikings team. It wasn’t pretty, and it doesn’t inspire a ton of confidence, but now the Cowboys are at least guaranteed to be .500 or better when they get to their much-needed bye week. Not exactly the easy win anyone predicted. As mediocre as this team’s been, it was still somewhat stunning to see the Cowboys trailing by three points with a minute left. The entire soap opera had played out, with Dez Bryant drawing an unsportsmanlike conduct penalty, Adrian Peterson wearing down the defense and Tony Romo throwing a late pick, but Romo silenced many with his game-winning, 90-yard drive. I thought the offense should have opened it up, but I didn’t expect them to run just nine times in such a close game. I predicted a big day and a score for Jason Witten, who went for more than 100 yards and a touchdown, but I didn’t predict Terrance Williams’ streak ending. The Cowboys offense continued its inconsistency before finally showing up late. If they wait that long to get going next week against a Saints team coming off a loss, it’ll be too late. Man, I was doing well with my first two and then tanked. Jason Witten did a have a big game and Terrance Williams didn’t score, but yikes, this was far from a blowout win. And out-rushing the Vikings? That was a horrible prediction. I had this feeling the Cowboys would take an early lead and get to run the ball while the Vikings were forced to pass. Nope. And Brandon Carr didn’t have a pick, but Orlando Scandrick got a big interception. He certainly played a great game, one of the best I can remember from him. Overall, no one really played great for the Cowboys. They had some guys step up, especially at the end. But this team looked like it was sleepwalking for too long. However, the Cowboys had a beautiful loss to Denver and no one cared. So they’ll take whatever this kind of win was against the Vikings. Jason Garrett likes to talk about players learning from experience. Today was that type of day for Tyron Smith against Jared Allen. 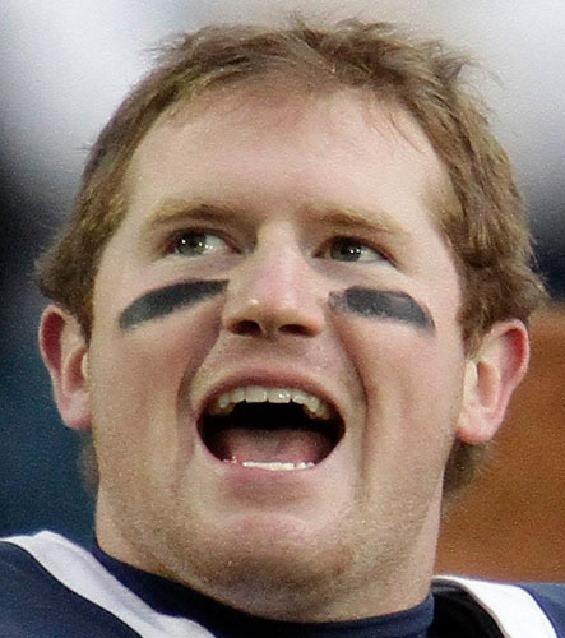 I said earlier, that Smith was drafted by the Cowboys to block rushers like Jared Allen. When you face a player like Allen, you have to be ready for all his moves. This guy is not a one trick pony and I felt like that there were times where Allen put him on the edge, but Smith was able to hang in there and make things work. In the 2nd half, I thought Smith was at his best and when the Vikings really needed a pressure, it wasn’t coming from Allen. The final numbers will say that Allen had one tackle with no sacks, so that tells you a lot about the day that Tyron Smith had. This was supposed to be an easy one. The 4-4 Cowboys against the lowly 1-6 Vikings? At home? Favorites across the board? Bring on the Saints. In a game that wasn’t always pretty – face it, downright ugly – the Cowboys sent 85,360 fans home perhaps more relieved than happy with a 27-23 triumph over the Vikings. The Dallas Cowboys offense struggled to find any kind of consistency, but came up big when they needed to, as Tony Romo led the team on a game-winning drive, reaching the end zone with only 35 seconds left. Despite the Cowboys running game totaling only 36 yards, the offense still finished the day with 350 total yards, thanks to Romo dinks and his 34-of-51 passing for 337 yards and two touchdowns. His main connection was tight end Jason Witten, who hauled in eight passes for 102 yards and a score, while Cole Beasley and Dez Bryant each caught six attempts for 68 and 64 yards, respectively. Defensively, well, Adrian Peterson did what Adrian Peterson does, racking up 140 yards on 25 carries with another 37 yards on three catches. But overall, Dallas kept the Vikings aerial attack in check, quarterback Christian Ponder completing 25-of-37 passes for just 236 yards. The first quarter was largely uneventful, as the two teams traded field goals, Dan Bailey kicking a 41-yarder for Dallas and Blair Walsh splitting the uprights from 23 yards to even the score 3-3. Still, Dallas seemed to be building a little momentum in the second frame. Things got going with Minnesota on the move, the Vikings set up with great field position on the Cowboys’ 37-yard line after a 26-yard punt return by Marcus Sherels. But the visitors elected to go for it on fourth-and-1 at the Dallas 16-yard line, only to have Peterson stuffed for no gain. The Cowboys then marched right back down the field on a 12-play, 58-yard drive that ate up 6:56 of the clock, the series eventually resulting in a 44-yard field goal by Bailey and a 6-3 lead. But that momentum was temporarily lost before the half could end. Starting at their own 21-yard line, the Vikings mixed in a dose of runs and passes before Ponder scrambled in from the 6-yard line to give Minnesota the advantage at the break, 10-6. Temporarily, however, was the key word. When the second half got underway the Cowboys immediately grabbed back said momentum in a big way. Taking first possession of the third quarter, Romo threw passes to Beasley for 11 yards, a short one to Terrance Williams for 4 and then back-to-back 26-yard strikes to Witten, the latter seeing the tight end rumble into the end zone of the score to take the lead, 13-10. That was then followed on the ensuing kickoff by Vikings return man Cordarrelle Patterson muffing the ball out of bounds at the Minnesota 5-yard line. On the very next snap, Ponder dropped back to pass and was stripped of the ball by defensive end George Selvie with teammate Nick Hayden then pouncing on the fumble for the score. Dallas suddenly had a 20-10 lead less than four minutes into the second half. But things never seem easy for the Cowboys. After seemingly having things well in hand, the defense couldn’t keep the Vikings from coming right back with a 77-yard drive of their own. This time Minnesota did their damage in the air, as Ponder completed passes of 27 and 12 yards during the series before finding tight end Kyle Rudolph down the right seam for a 31-yard touchdown, narrowing the score to 20-17. The Cowboys had their chances to expand the lead, first when the team drove into enemy territory, reaching the Minnesota 34-yard line. But on third-and-15, Bryant was called for offensive pass interference. What made matters worse, though, was he pulled off his helmet to argue the call, an automatic unsportsmanlike conduct penalty. With the loss of 15 yards, any hopes for a lengthy field goal by Bailey were quashed. Then, as the clock ticked over into the fourth quarter, the Dallas defense produced its second turnover of the game when Orlando Scandrick intercepted a deep attempt by Ponder down the left sideline. But set up at their own 47-yard line, Dallas managed to reach the Vikings 38 before another offensive pass interference call, this time on Witten, pushed them back to the 46. Once again, they were forced to punt. This time, the Vikings’ workhorse took momentum into his own hands. Peterson first broke loose on a 52-yard scramble down the right sideline, then after Minnesota moved down to the Dallas 11, the future Hall of Fame running back kept churning, carrying a whole pack of Cowboys defenders – who seemed more intent on stripping the ball, than actually getting the man on the ground – into the end zone. Walsh somehow missed the extra point, but Minnesota had the lead, 23-20 with just over five minutes left in the game. The Vikings then had a chance to salt the game away themselves when cornerback A.J. Jefferson stepped in front of a pass intended for Williams and tiptoed the sidelines for an interception at the Dallas 41. Thankfully, the Cowboys defense stood strong forcing a three-and-out, the offense taking over at its own 10-yard line after the punt with 2:44 remaining on the clock. That was plenty of time for Romo, who hit Witten for 11 yards, Dwayne Harris for 6, and Beasley for 18. Then on second-and-10 at the Dallas 45, the quarterback found Bryant streaking across the middle, the wideout turning upfield for a big 34-yard gain to the Minnesota 21. Three plays later, Romo stepped up in the pocket and darted one into Harris who lunged across the goal line for the game-winning score, 27-23. With the victory, the Cowboys pushed their record back above .500 for the season, and assured their NFC East counterparts could gain no ground in the division race. They’ll now travel to New Orleans to face Drew Brees and the Saints in primetime next Sunday night. IRVING — The Dallas Cowboys did what they needed to do today, they beat a bad team. 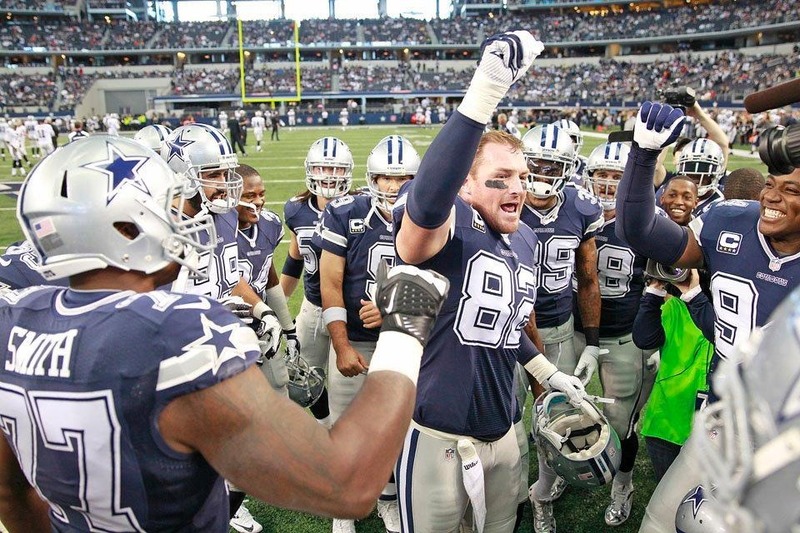 The Cowboys weren’t very impressive but they got the job done, improving to 5-4 with a 27-23 victory at AT&T Stadium. Here are five thoughts on today’s game. 1.) Not many folks probably left the stadium feeling like they got their money’s worth. 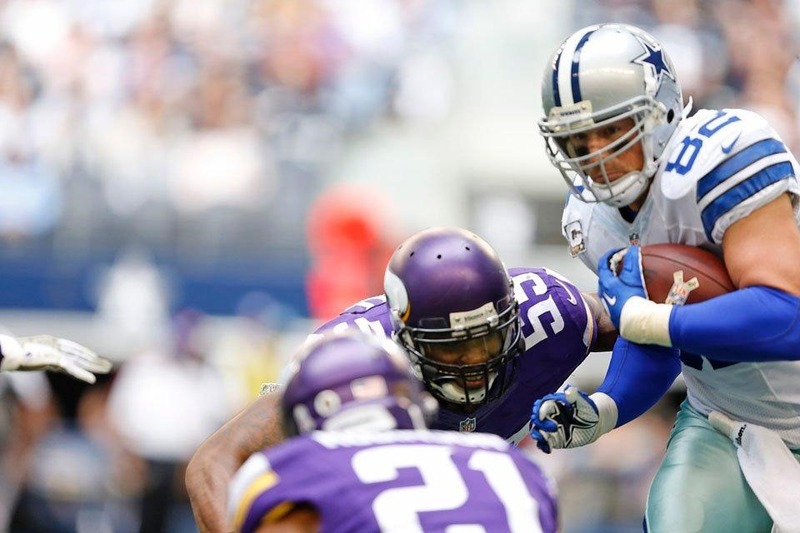 The Cowboys played to the level of the one-win Minnesota Vikings and barely pulled it out. Every week it becomes more apparent that this is nothing better than a .500 team. Enjoy the victory. But expect nothing more than a “win one- lose one” product the rest of the way. 2.) Dez Bryant was showing his passion again. This time it cost the Cowboys 15 yards. Bryant was called for offensive pass interference in the third quarter and then took off his helmet to argue with an official. Bryant was booed after dropping his second pass of the game a few minutes after he was flagged for unsportsmanlike conduct. He’s the team’s best playmaker, so you have to take the good with the bad. Bryant made a key play later in the game. 3.) So that’s why the Detroit Lions doubled Jason Witten so often last Sunday. The Pro Bowl tight end was the Cowboys’ best player against the Vikings. Witten caught eight passes for 102 yards and a touchdown. He dropped a pass early but Witten remained Romo’s favorite target. When he didn’t get the ball, Witten was still making an impact by attracting double teams, which is exactly what led to Dwayne Harris’ game-winning score. The 31-year-old won’t wow you with his athleticism but he’s still as consistent as they come. 4.) Dallas rushed nine times for 36 yards. 5.) The defensive meetings this week will be about missed tackles. Jeff Heath, Barry Church and Ernie Sims all were abused multiple times. The offensive meetings will emphasis dropped passes. Dallas receivers dropped eight, which included Witten, Bryant and Terrance Williams. What it means for the Cowboys: They didn’t make it look easy, going down to the final minute before dropping the one-win Vikings. Tony Romo’s 7-yard touchdown pass to Dwayne Harris won the game with 35 seconds to go and kept the Cowboys in first place in the NFC East with a 5-4 record. They also continued a trend of beating teams .500 or worse under Jason Garrett. The Cowboys are now 17-1 since 2011 against the bad teams. The win was the Cowboys’ fourth at AT&T Stadium, matching their home win total from a year ago. 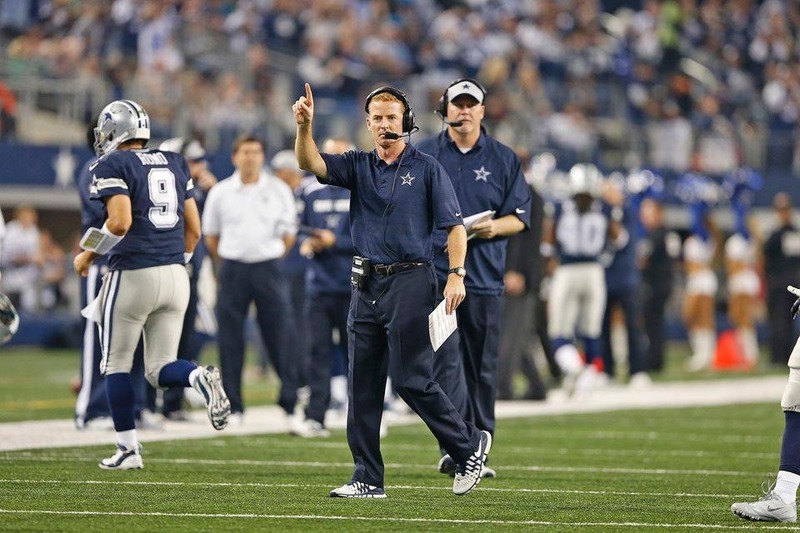 It was an ugly win, but Garrett will undoubtedly say winning in the NFL is a hard thing to do. It’s even harder when you let bad teams stick around. Stock watch: After an ugly :58 minutes, and with the game on the line, Romo responded with a game-winning drive after throwing what could have been a crippling interception. Romo completed 7 of 9 passes on the 90-yard drive. Forget the ground game: The return of DeMarco Murray was supposed to bring some sort of renewed emphasis of the running game, but it never happened. The Cowboys chose to attack through the air against the 29th-ranked defense, but it’s not as if Minnesota has a great run defense. In the second quarter, the Cowboys got to the Vikings’ 12 and did not even give a pretense of running the ball with back-to-back plays out of an empty set and a three-wide receiver formation. The result was a drop and two sacks, forcing the Cowboys to settle for a Dan Bailey field goal. Murray, who was playing after a two-game absence with a knee injury, finished with four carries for 31 yards and the Dallas Cowboys had just nine carries for the game. Seeing stars: Last week the Dallas Cowboys couldn’t stop Detroit Lions wide receiver Calvin Johnson, who had 329 yards. This week it was Adrian Peterson. It wasn’t a historic day for Peterson, but he had some vintage moments when it mattered most on his way to 140 yards rushing. He busted free for a 52-yard run at the Minnesota 28 and then scored the go-ahead touchdown with 5:40 to play when he ran through safety Jeff Heath and linebacker Justin Durant for an 11-yard score on fourth-and-1. What’s next: The Dallas Cowboys travel to New Orleans to take on the Saints next week. 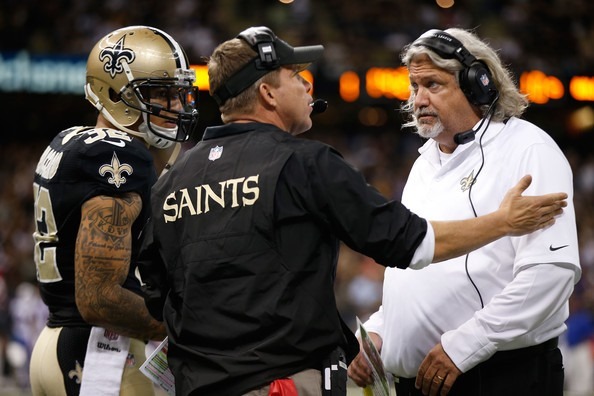 This was a game New Orleans defensive coordinator Rob Ryan has had circled since he joined the Saints after he was dismissed as the Cowboys’ defensive coordinator last January. The Cowboys have lost seven of their eight games to the Saints. Their only victory came at the Superdome in 2009, 24-17, when New Orleans was undefeated. IRVING, Texas – The Dallas Cowboys didn’t think Jay Ratliff would be able to play with them this year. Now, they’re scheduled to play against him. Just two weeks after Ratliff was released from the Cowboys for a failed physical, the defensive tackle agreed to terms on a one-year deal with the Bears, who are set to play the Cowboys on Monday night on Dec. 9 in Chicago. The latest news continues an ongoing saga between the Cowboys and Ratliff, who hasn’t played in a game since Nov. 18, 2012. Despite multiple off-field incidents, the Cowboys cited his lingering health issues as primary reasons for the release. Ratliff underwent sports hernia surgery in December and came back to run in the team’s conditioning test at the start of training camp, where he hurt his hamstring. He never again got on the field for the Cowboys and was put on the Physically Unable to Perform list. After his release, Ratliff’s agent, Mark Slough, said the injury was much more serious than a sports hernia and claimed Ratliff actually had muscle ripped off from the pelvic bone. He said that Ratliff still had a desire to play, but that the plan would be for a 2014 return. At the time, there was no expectation Ratliff would be ready to play this quickly. Ratliff is still maybe two to four weeks away from being able to play. The Bears, however, have a huge need at defensive tackle after losing Henry Melton and Nate Collins. Ratliff visited the Bears, Kansas City Chiefs and Miami Dolphins this week. The Cincinnati Bengals also made inquiries after a season-ending injury to Geno Atkins. The Bears made the most sense for Ratliff of the teams he visited, as he should have a chance start when healthy. In Kansas City or Miami, he likely would have been a rotational player. The Cowboys and owner/general manager tried to stay as mum as possible after Ratliff was medically cleared to play this season, citing legal reasons. It’s possible the Cowboys try to get some of the money back on Ratliff’s contract extension he signed in 2011. Ratliff has some familiarity with staff members on the Bears. Running backs coach Skip Peete and special teams coach/assistant head coach Joe DeCamillis were with the Cowboys last year. Former Cowboy Martellus Bennett is also on the Bears’ roster. Ratliff was thought to be an ideal fit in the middle of the Dallas Cowboys’ new 4-3 defense. The Bears evidently hope the same in their scheme. The Bears sit just outside of the playoff race and are trying to stay in contention while they wait for the return of injured quarterback Jay Cutler and linebacker Lance Briggs. A healthy Ratliff is a step toward saving the Bears’ playoff hopes if they can stay afloat with backup quarterback Josh McCown and a patchwork defensive. Tony Romo has turned into a star after going undrafted 10 years ago. Romo’s spring of 2013 was a tad more lucrative than his spring of 2003. Eight months ago, the Dallas Cowboys quarterback signed a six-year, $108 million extension with $55 million in guaranteed money. And 10 years before that? “I was a very sought-after [rookie] free agent,” Romo, tongue firmly in cheek, told Twin Cities reporters on Wednesday. So, Tony, what did the Cowboys have to fork over to get the late-bloomer from Eastern Illinois? Five hundred bucks? Say what you want about Romo. He has been labeled as a guy who can’t win the big game. A guy who is prone to mistakes late in games. A guy who is 1-3 in the postseason. But there aren’t too many teams, the Vikings obviously included, who wouldn’t swap quarterbacks for Romo. Heading into Sunday’s game against the Vikings, Romo ranks fifth in passer rating (101.7) behind only Peyton Manning, Philip Rivers, Drew Brees and Aaron Rodgers. Romo is 59-42 heading into his 102nd NFL start. 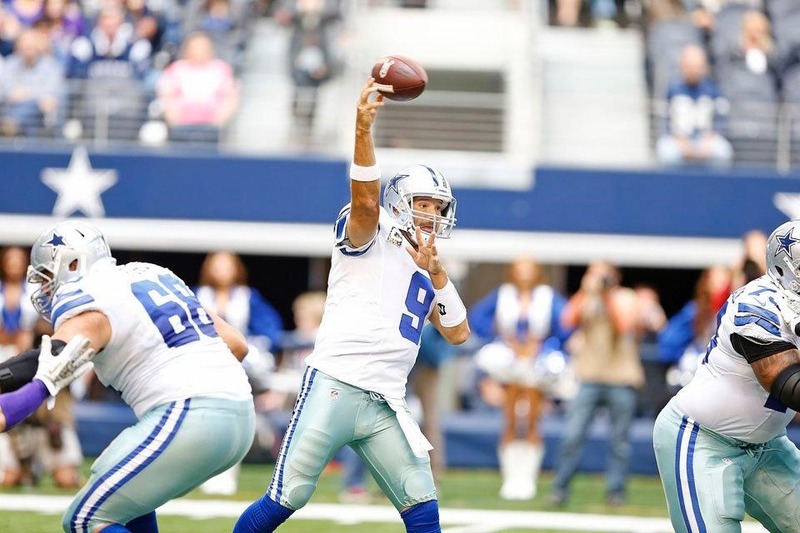 Among quarterbacks through 100 starts, Romo ranks No. 1 in completions (2,262) and passing yards (27,485). He also ranks third in touchdown passes (189) behind only Dan Marino (214) and Brett Favre (194). In that 2003 draft, 32 teams made 262 selections. Thirteen quarterbacks were selected. Only one of them — Carson Palmer, selected No. 1 overall by the Bengals — ever made a Pro Bowl. Romo has made three. The other quarterbacks selected in the first round that year were Byron Leftwich (seventh), Kyle Boller (19th) and Rex Grossman (22nd). Later rounds saw names such as Chris Simms, Senaca Wallace, Brian St. Pierre, Brooks Bollinger, Drew Henson and Kliff Kingsbury. Romo was asked what it is about quarterbacks and the draft selection process that can lead to No. 1 overall picks flopping and undrafted free-agents flourishing. So what’s the one trait Romo would look for if he were in charge of drafting a quarterback coming out of college?